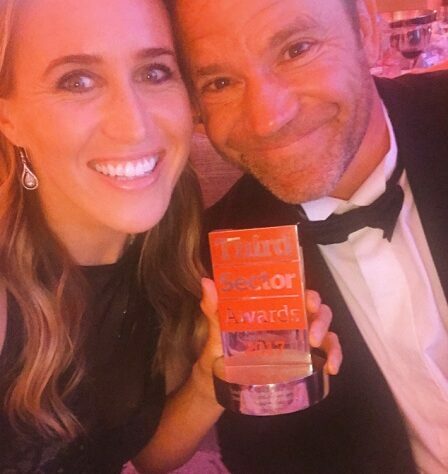 WLT Patron Steve Backshall and his wife Helen Glover won the Third Sector Award for Celebrity Charity Champion last night for their support of World Land Trust (WLT) and campaigning for Race for Borneo. 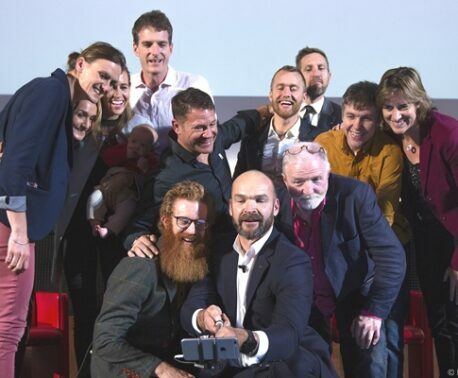 Competition for the award was strong this year, with the pair competing against fellow finalists Bear Grylls (the youngest ever UK Chief Scout), Martin Clunes OBE (Ambassador for Macmillan Cancer Support) and Paul O’Grady (Ambassador for Battersea Dogs & Cats Home). Dan Bradbury, Deputy Director of Communications and Marketing at WLT, was at the awards ceremony and congratulated Steve and Helen, “Steve and Helen are worthy winners, they have really shown their commitment to WLT over the last few years. They haven't just put their name to what we do, they have been very much involved. In 2015, WLT Patron Steve raised £50,000 in sponsorship when he completed the Devizes to Westminster International Canoe Race (called the ‘Canoeist’s Everest’) which directly funded the purchase and protection of 481 acres of Chocó rainforest in Colombia. In 2016, even while training for her second Olympic gold medal, Helen campaigned for the Olympic Forest Appeal, which ended up exceeding its £40,000 target. This year they combined their star power and exceeded all expectations in their ‘Race for Borneo’, kayaking for just under 23 hours, 125 miles from Devizes to Westminster to raise funds for WLT’s Saving Kinabatangan appeal.